There are so many planners on the market, but in my opinion this is the best life planner out there! Here’s how it has helped me set goals and get control of our family budget. Budgeting was easy when I was a single girl working full time. After getting married and having a family, it seemed like financial things got quite a bit more complicated. There were so many bills to pay, income came in from several different places at different times, and it seemed like there was never enough money to pay for everything. As our financial trials and difficulties grew, I realized that we needed to come up with a better budgeting plan. 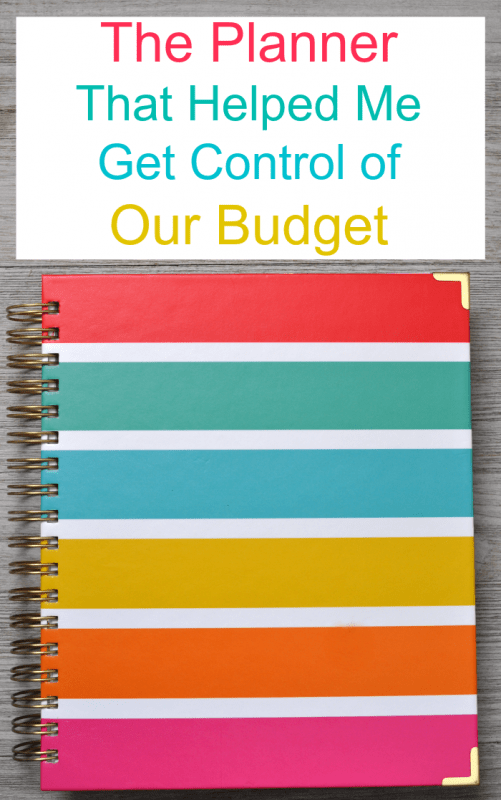 I tried numerous free budget binder printables in my quest to get control of the budget. But the main difficulty I had with those is that I would forget to use them. Finally, this year I started using The Living Well Planner. It’s a planner that has budgeting pages built right into it. And it works for us! I think that’s why this planner has been so successful in helping me get control of our budget. It works because it’s not separate from my daily planner. The budget planning pages are right there each month, reminding me that it’s time to sit down and do the budget. As I mentioned in my initial review of this planner last year, one of the main reasons I picked it was for these monthly budget pages. And I haven’t been disappointed. They were just what I needed to make our budget finally work! Now my husband and I try to sit down together and go through the budget regularly. At least once a month, but I think once a week is even better when you have financial difficulties. I’m so thrilled to finally have a system in place that is working for us! 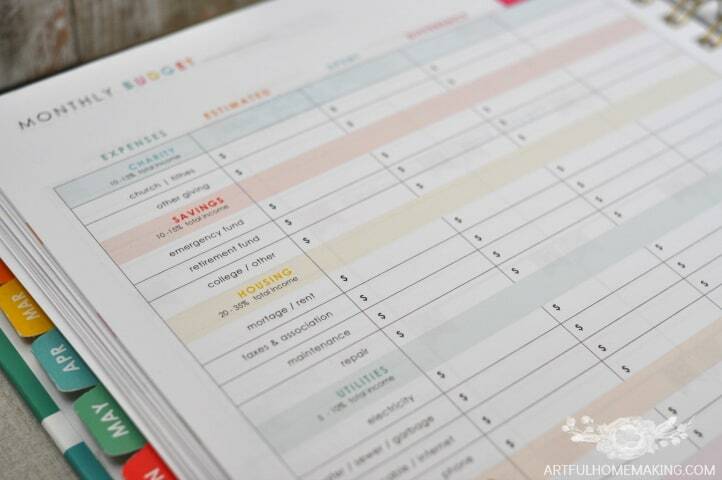 In addition to the budgeting pages, there are so many other features that make this planner a success. I would say it’s the best life planner I’ve ever tried. I love that it also has detailed goal-setting pages at the beginning of each month. Those have been super helpful to me as I look ahead to what I hope to accomplish through the year. There are also project planning pages that help you plan for upcoming projects. This was so helpful as we were planning my daughter’s graduation party this year. Several months before the party, I got out my planner and had a planning session with my husband and daughter, and the project planning page really helped us map out our vision. I’ve truly enjoyed using the Living Well Planner this year. 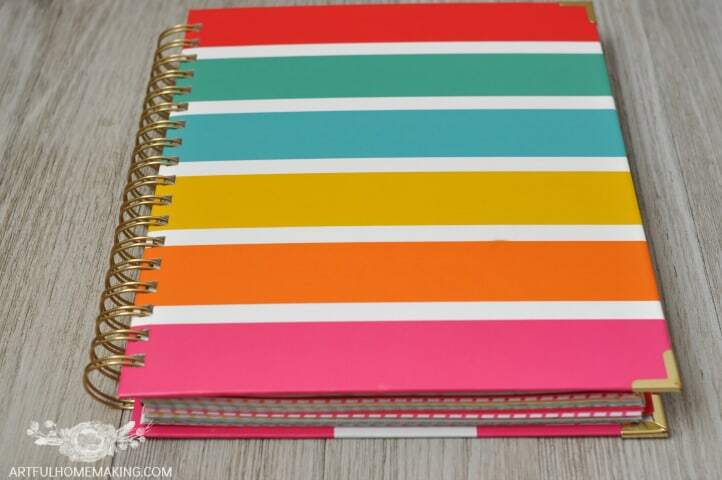 I love the cheerful colors, the layout of the pages, and its overall sturdiness (the photos above were taken last week after 9 months of use, and it still looks almost brand new despite being constantly used, carried around, and even dropped several times!). The other day I realized that it’s almost time to buy a new planner. And I know which one I’m planning to get, because I’ve had so much success with the Living Well Planner this year. Especially when it comes to budgeting, I’d say it has truly been life-changing! I knew exactly which planner that was from the picture before even reading the post (and I’m not a paper planning person). So glad the planner has worked out well for you. Thanks so much for sharing at the #happynowlinkup! It’s an awesome planner! Thanks so much for hosting, Leslie! This is so good to know about! Thank you. I need something like this. I do well with visual budgeting. Visiting from Faith-Filled Fridays! I’m the same way, I need visuals, especially when I’m dealing with numbers! Thanks for visiting! I look forward to checking out the planner. I’m always on the hunt for a great planner! I’m the same way, Robin! I’m a bit of a planner-addict. 🙂 This one has been my favorite so far! I’ve been trying my hand with budgeting with excel or rather, tracking my expenses. I’m still at home and my finances and jobs are all over the place. I just recently finalized a system that works put the specific item down, the date (if I remember, this is new, so the next months will be better), the category, and amount. Then I made table, a pivot chart for expenses, and a pie chart from the pivot chart to see my categories by percentages. I know not everyone has excel, but I believe Google Sheets has pivot tables. I think it is good to have budgets and then to have a spending tracker so you can analyze where all your money is going. Another blogger gave a link to the youtube channel The Financial Diet. It is geared to college and millennial age, so your daughters might like it, but I think it can be helpful for everyone.